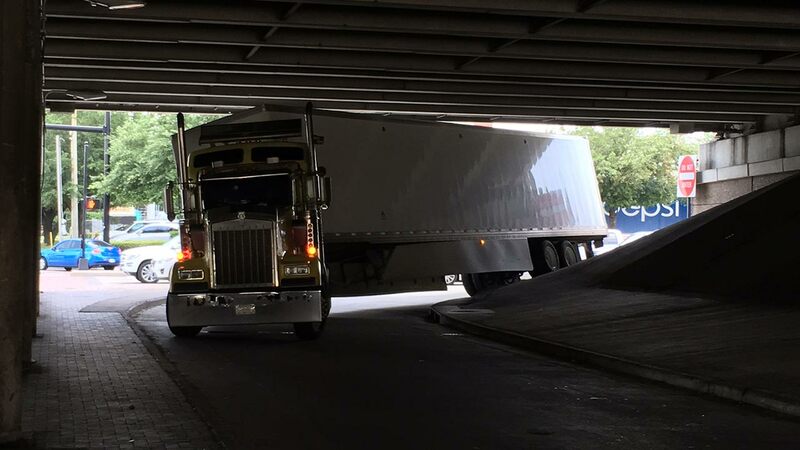 HOUSTON (KTRK) -- A big rig was apparently a little too big for the space it was in. An 18-wheeler got stuck Tuesday afternoon in the freeway turnaround of the Southwest Freeway at Kirby. No one was injured in the incident. Traffic as of 2:30pm was not dramatically impacted.